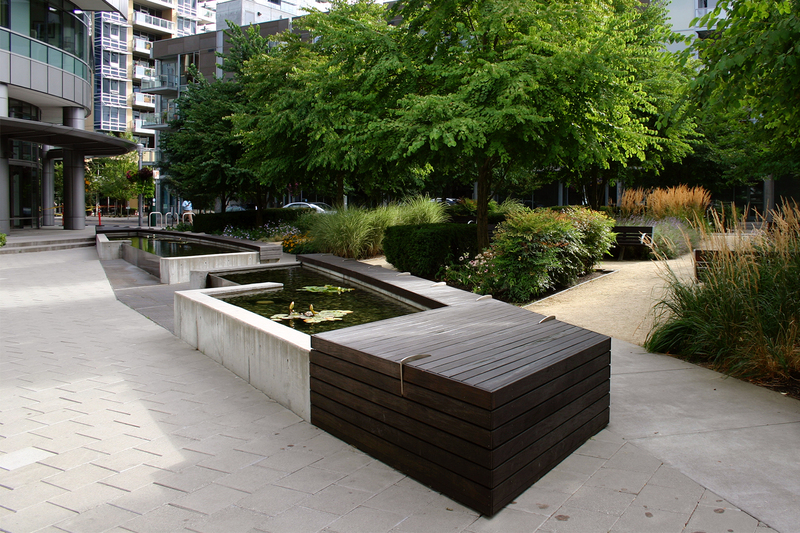 Located in the South Waterfront District urban redevelopment area, this 31-story, oval-shaped condominium tower includes a public plaza adjacent to a linear water feature and garden area. The building has three roof gardens with both private and public spaces for residential use and public event access. The fifth-floor roof deck also consists of both a roof garden and an eco-roof. The project features several innovative sustainable components. The irrigation and water feature systems are designed to reuse gray water from building processes. Site groundwater will continually be pumped through biofiltration swales in order to minimize the potential for groundwater flooding and to aid in the decontamination of the previously industrial site.